I love anything that I can make with my hands. Even though it ends with my hands hurting for days, I always love to make things! Art is fun to me, I love making things that people love and want. My kids went through the loom band stage a few months ago, they still use them every once and awhile, but for some reason I never picked them up and used them. 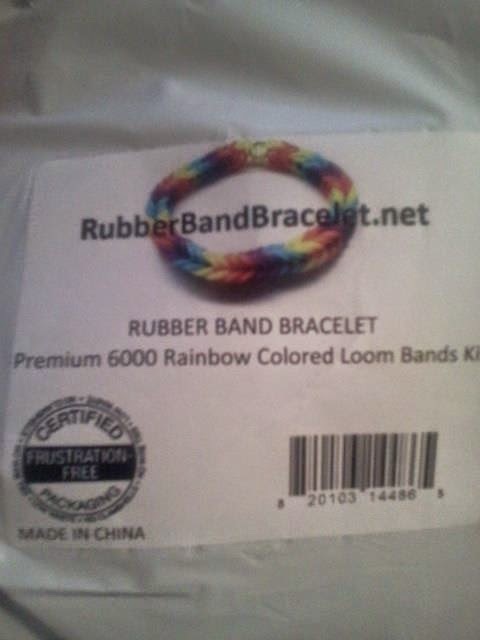 When I got these in the mail, I was excited that they were in bags with each color seperated. I was worried that they would all come together and I would have to spend FOREVER picking out the colors I needed. From there, I put each color in a zip lock baggy. Yes the bags they come in stick back together but I wanted the safety of a top that fully closes. While I was doing this, I checked out the elasticity of the bands and how much they could stretch before they broke. Out of all of them that I touched only a few actually broke, so I knew that these were high quality bands. At that time, I had never used a loom. It seemed too difficult to me. 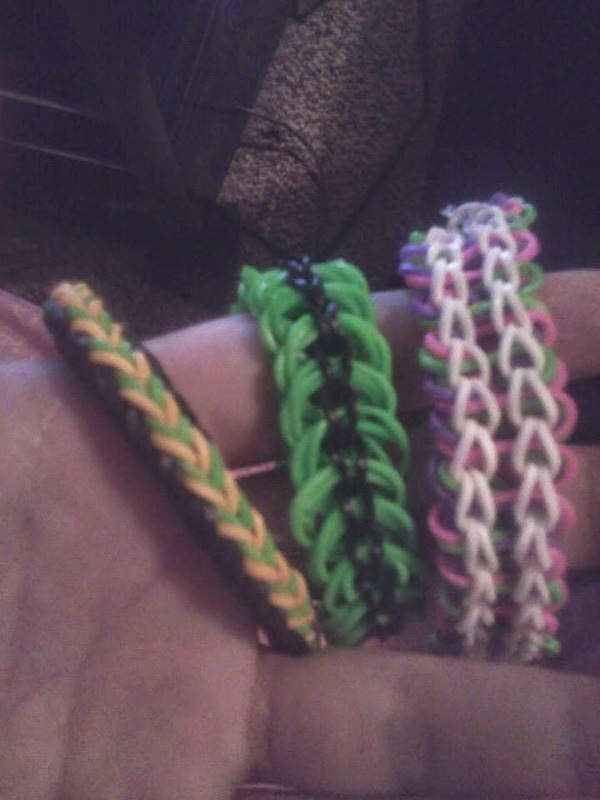 So I got on you tube and found a bunch of videos that I could use either my hands, or forks to make bracelets with. 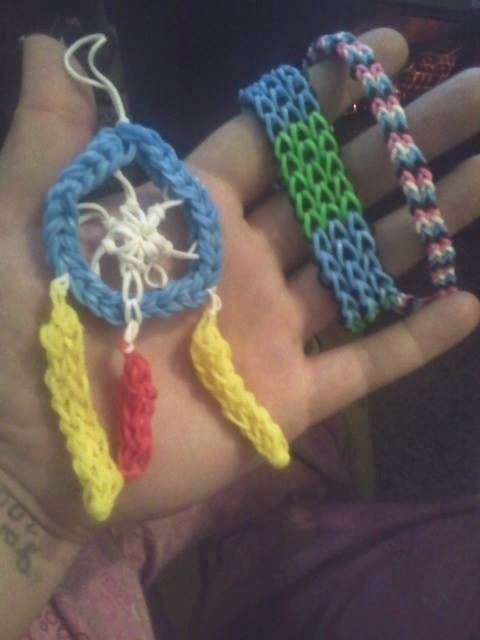 I got started right away making bracelets. I ended up falling in love with them. I find it so amazing that such a beautiful bracelet could be made so quickly and easily. I failed a bunch of times but I also succeeded a bunch as well. 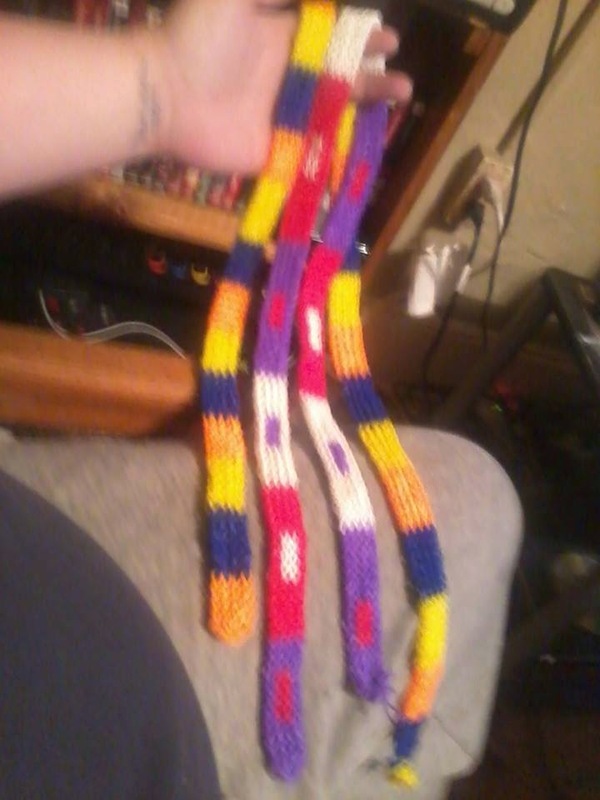 I believe the first day I tried to do about 10 bracelets and maybe 3 of them turned out like they should have. 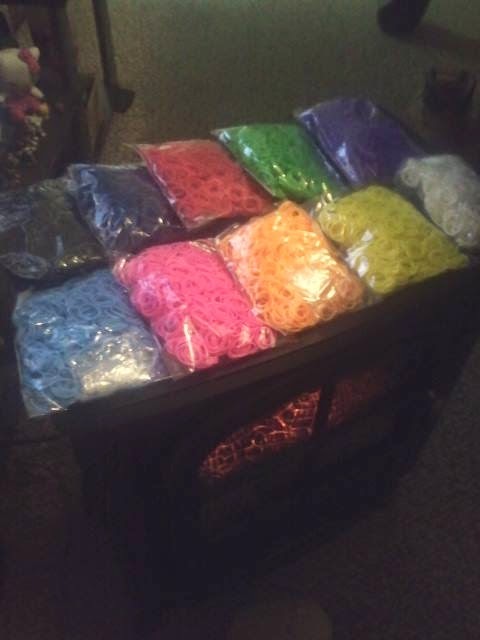 Now after making bracelets for a few weeks, I am pretty good at it and I have a stock pile going. I can't keep my friends out of them, but it is fun to make bracelets for the ones I love. I have even thought about starting up an etsy store and selling the items that I make. If that happens I will definitely be buying more of these bands! If you or someone you know loves making stuff with loom bands, then you need to check out these bands on Amazon, by clicking here. From there you can find out more about the bands, see what other reviewers are saying, and buy some for yourself! !